I love homemade Christmas decorations, they just add such a lovely personal touch to proceedings. I recently spotted on Pinterest these really lovely tree decorations made from twigs. The only issue is having time to dry twigs out! Especially in this miserable wet UK weather! This kind of put a downer on these decorations until I thought I would have a go at making them using brown gardening wire which looks a little twig like! I am so pleased with the final result and thought I’d share a DIY post with you all on how to make these twiggy star decorations! Thin coloured paper, ribbon or thread of your colour choice. 1. Using the wire cutters cut 6 equal length pieces of the gardening wire. I went for 2 inches each but you can alter this depending on how big or small you want your star. 2. Choose two colours of ribbon, string or thread of your choosing. You are looking to create two triangles, so take 3 pieces of the wire and tie each corner together using your chosen string. Do the same again to create a second triangle. 3. Place the triangles on top of each other to create a star shape. 4. Then wrap your string/ribbon/thread around the centre of your star to secure the wire together. 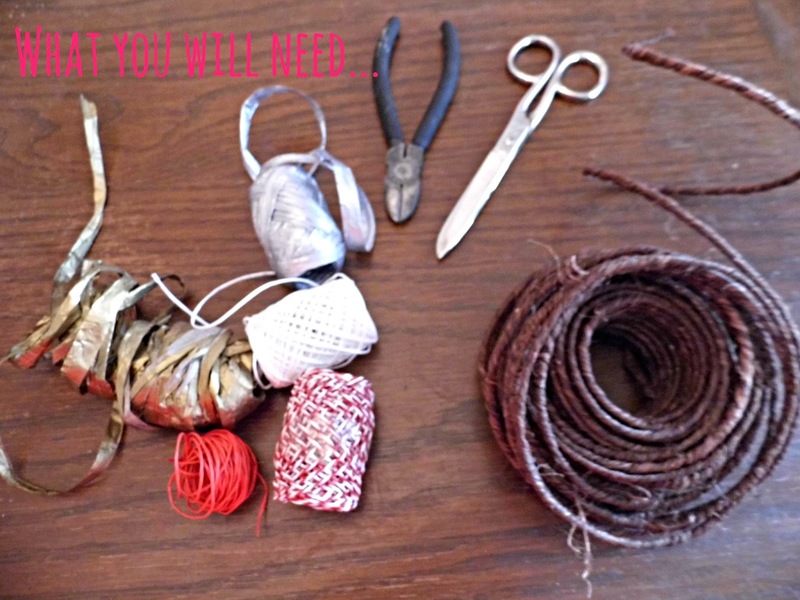 I used red string and gold thread to get the look I wanted, but you can use whatever colours you want! 5. 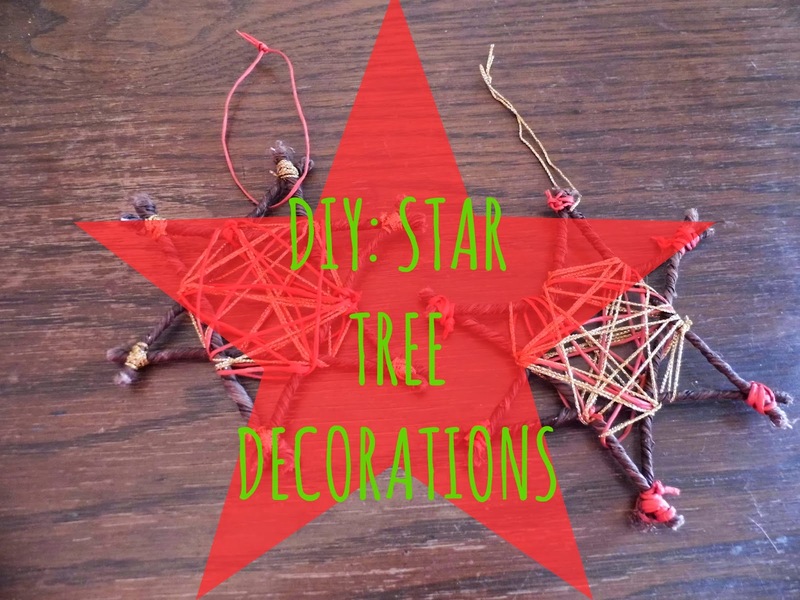 To finish tie a look of string to one of the points of the star and then hang on your tree! What do you think? Are you a fan of handmade decorations?